The top tip for having the perfect vacation is to choose the right cruise ship for your first cruise. Just as there are ‘personalities’ for travel destinations (think Las Vegas versus Washington, DC), every ship has atmosphere and character that cater to the passengers. Here are the 7 top-rated ships with Carnival Cruise Line, each with its own charm. 1. Carnival Legend: She carries over 2,100 passengers; 75% are under the age of 55. The dress code is ‘cruise casual’ with theme nights and opportunities for elegant attire. The décor is on the outrageous side, and boasts impressive artwork. It is a family-friendly ship with adults-only areas. She sails from Honolulu, Vancouver, and Seattle to various ports in Alaska and Hawaii. 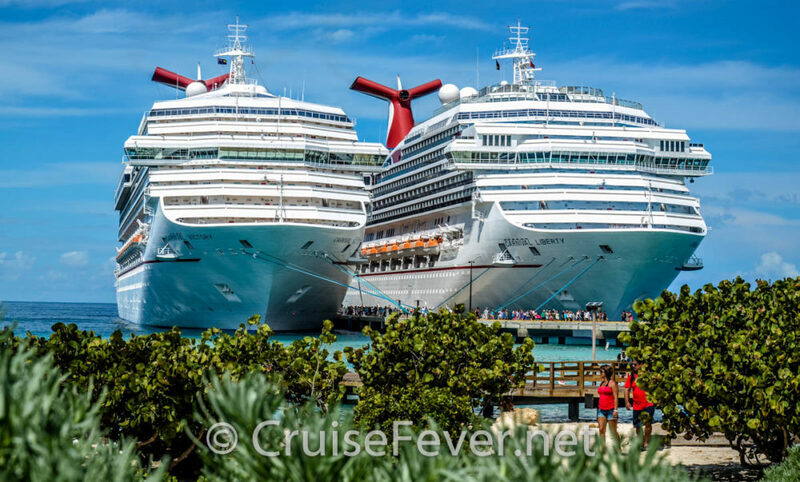 The post Top Seven Carnival Cruise Line Ships for First-Time Cruisers appeared first on Cruise Fever.